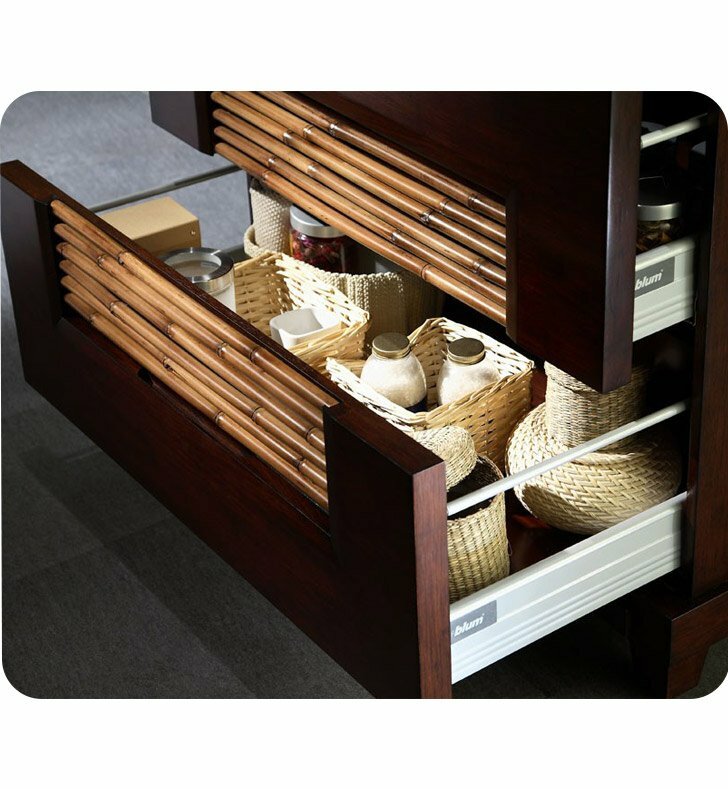 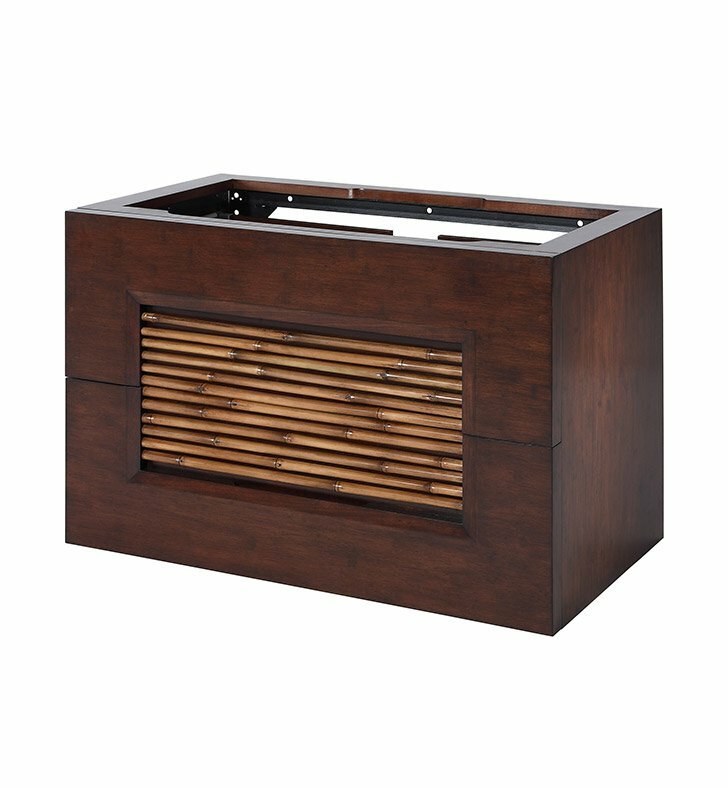 The eco-renewable bamboo veneer is the starting point for this versatile and fresh design vanity. 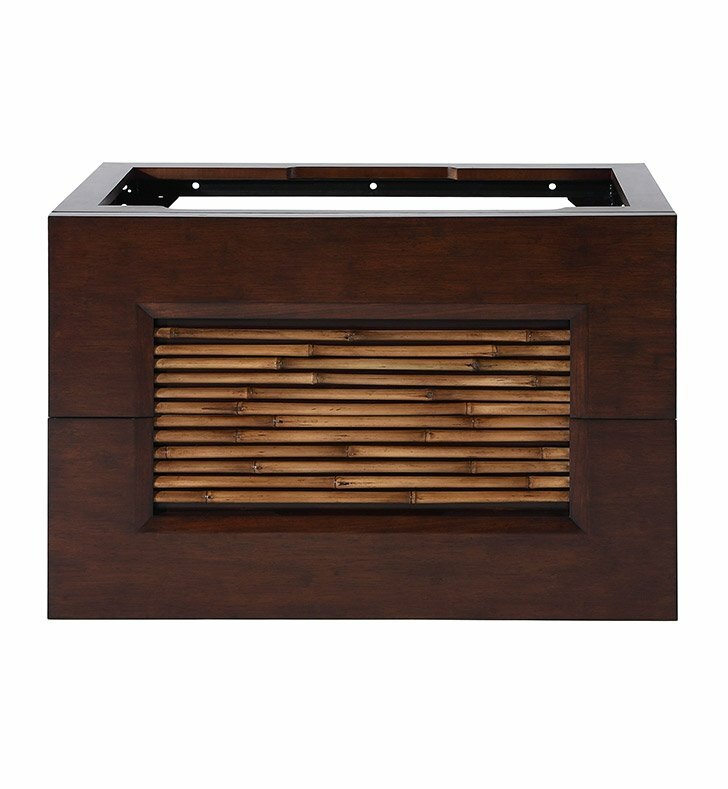 Highlighted with natural bamboo accents, this vanity can be wall mounted or floor-standing using either of two floor stands that provide comfort heights for vessel applications or undermount lavatory installations. 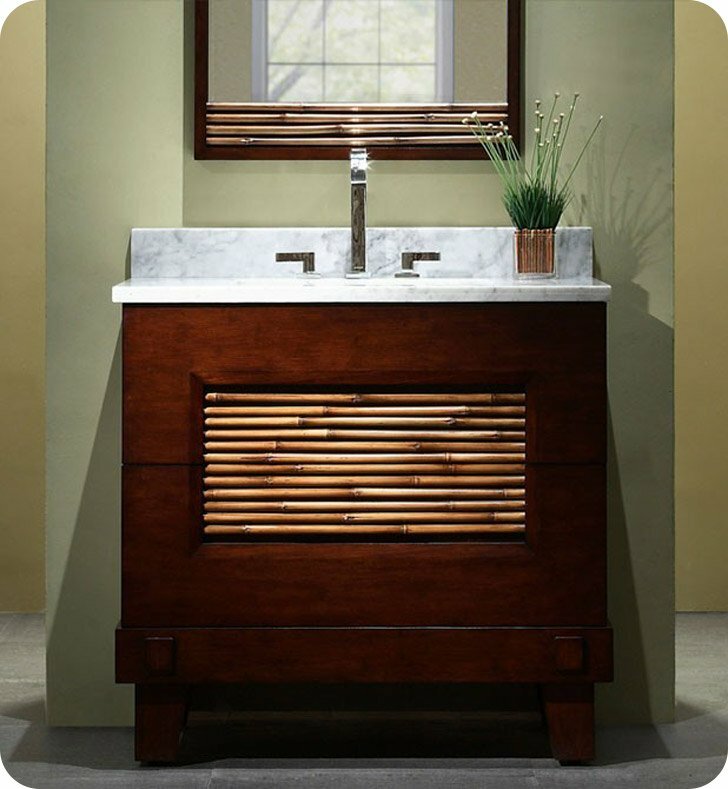 Turn your bathroom into your own distinctive oasis. 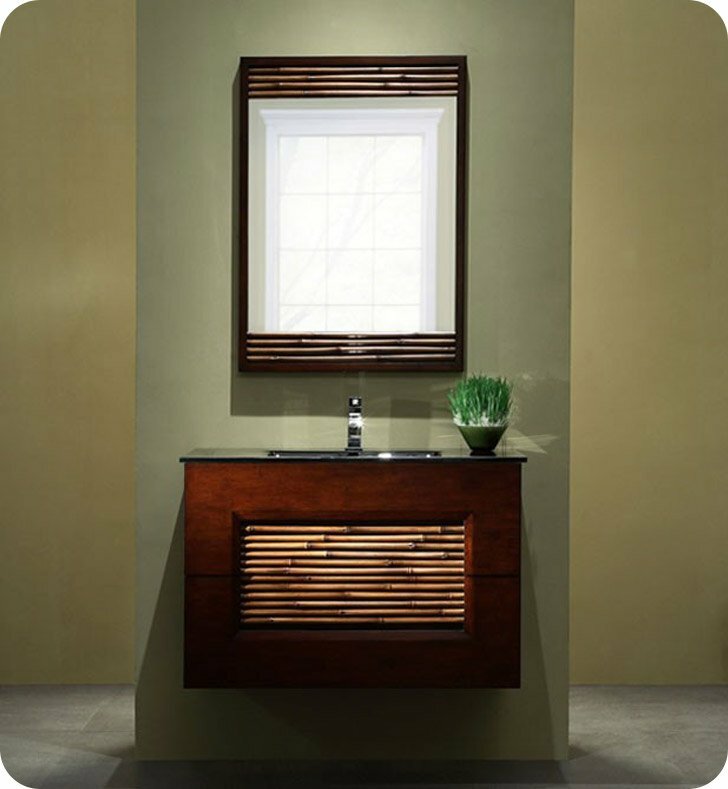 Vanity: W 36" x D 21 1/2" x H 24"